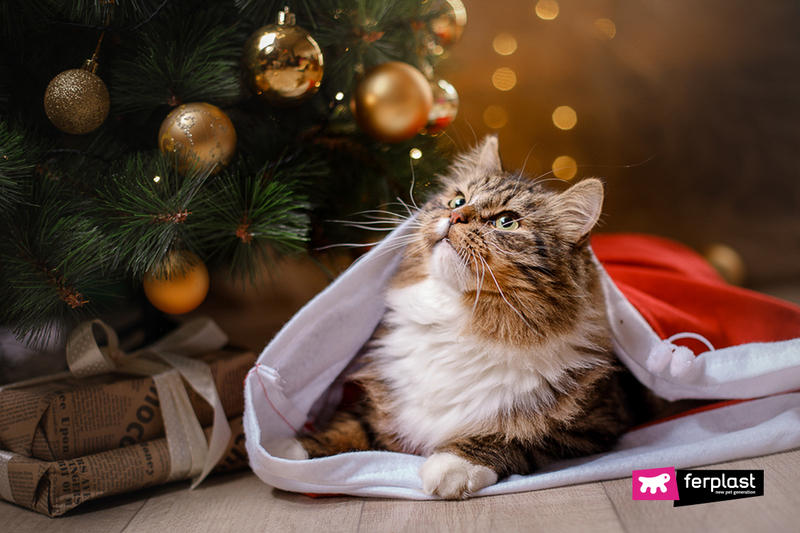 WHAT TO GIVE YOUR CAT THIS CHRISTMAS? TOYS? ACCESSORIES AND A HOST OF OTHER GIFT IDEAS! 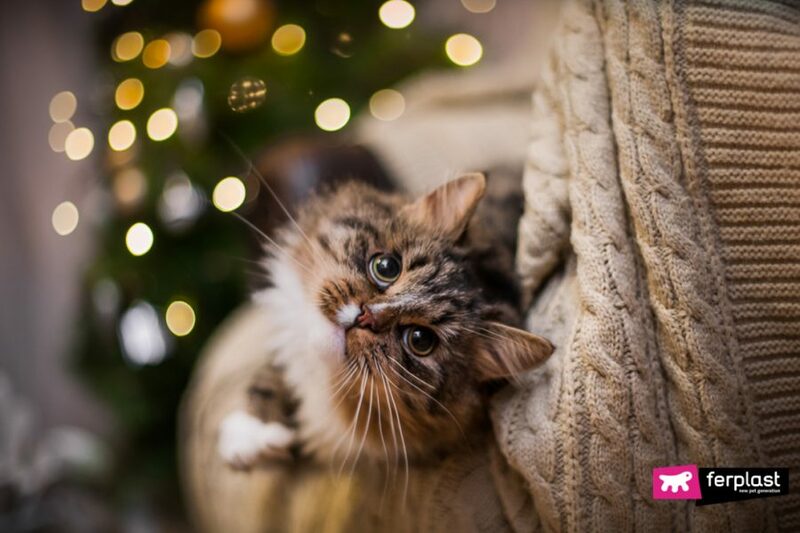 Would you get your cat a gift for Christmas? Of course, everyone does! 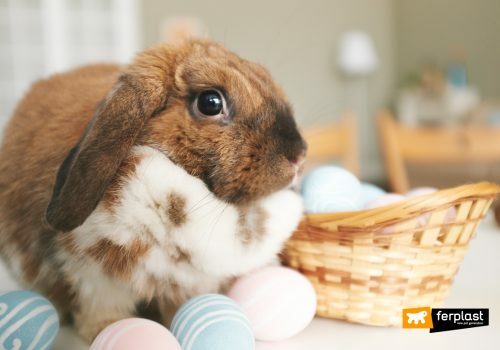 This year, don’t just give it the usual baggie of treats, but choose something wonderful from the Ferplast catalogue! Cats love to groom themselves, they are clean animals who hate smelly things, even what they leave in their own litter box! So why not get your cat a brand new box? If the apartment you share with your cat is small, then get a closed loo. It ensures the hygiene of your home, keeps the nasty smells captured within and makes sure no litter spills over onto the carpet! The PRIMA DÉCOR model, for example, is ideal with its swinging door, detachable bottom basin and built-in carbon odour filters. It is even pretty, graced with nice colours and decorations on the sides. They come in a variety of colours so you can choose one to fit your home décor. 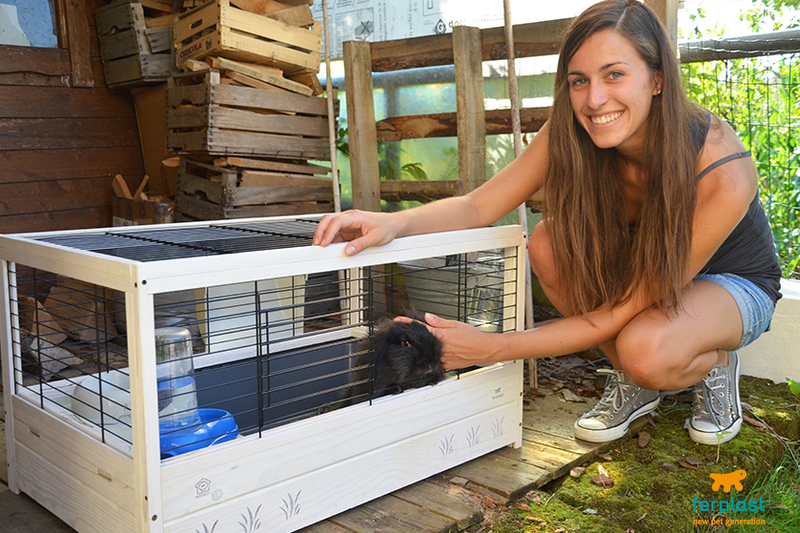 It’s a gift your cat (and you) will really love! And what about kitty nails? Cat claws must stay nice and sharp. 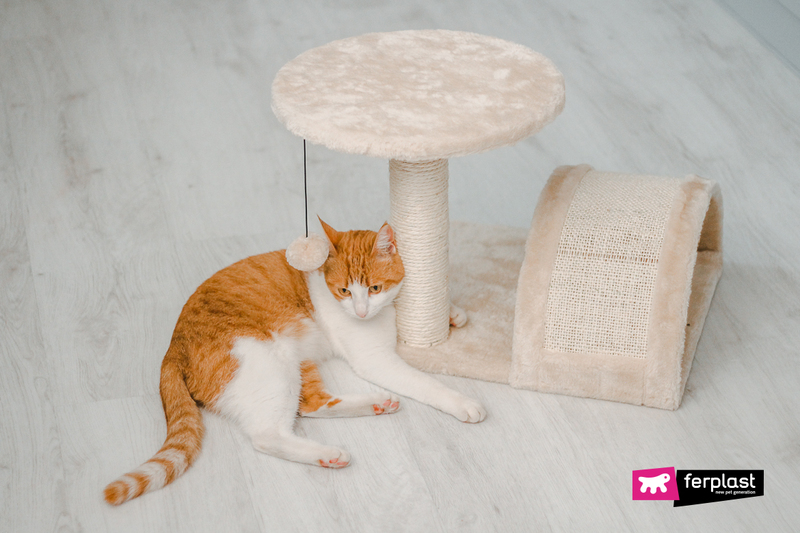 In order to make sure your sofa or walls are not the cat’s gym, get a fabulous Ferplast scratching post for Christmas! 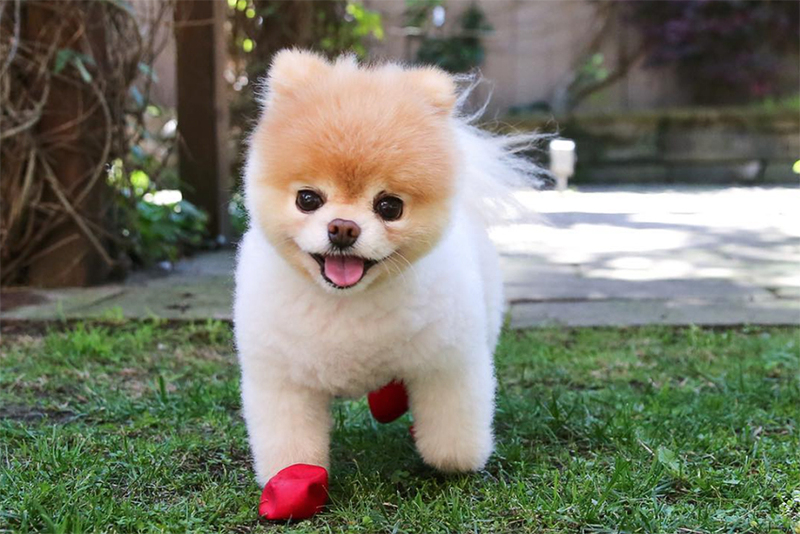 It comes as a little plush rug in the shape of a paw, or in even more elaborate shapes with a play area, a rest area and a central sisal scratching post. It’s unusual for cats to go out in really cold weather. 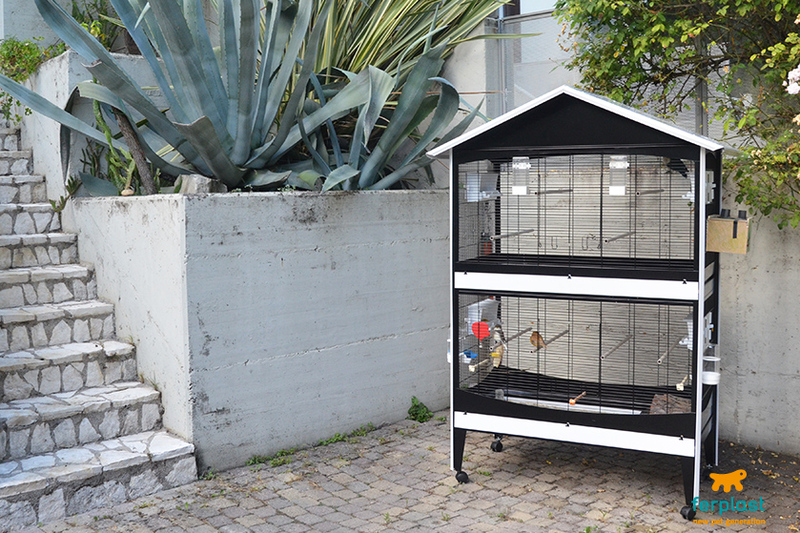 So to make the holiday season easier on your cat (when the trauma of noisy relatives is a certainty) give your cat a brand new cat house in which to seek refuge. Need some expert advice? 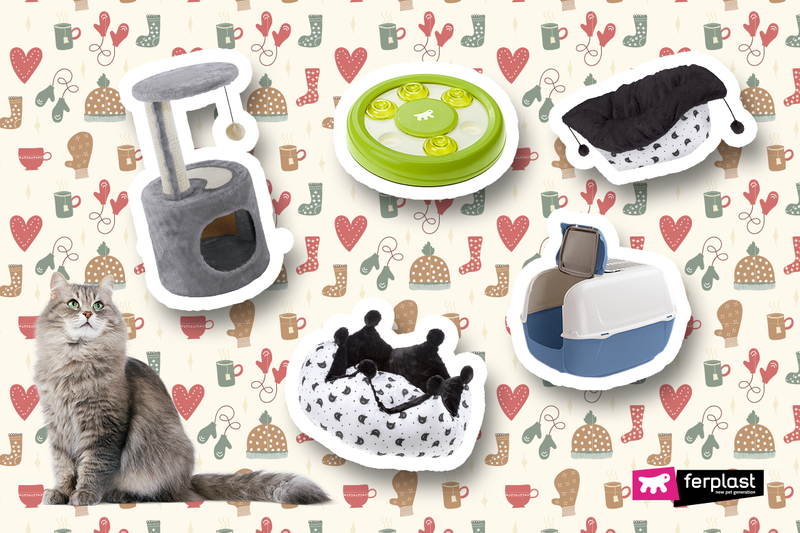 Try one of the Classic Cat Collection models, like the Astro cat bed made of soft cotton and lined with fur, or a roomy Mikado cat bed decorated with cute little pompoms. And don’t worry, when they get dirty you can wash them in the machine (30°C)! Toys are always a good gift at Christmas. 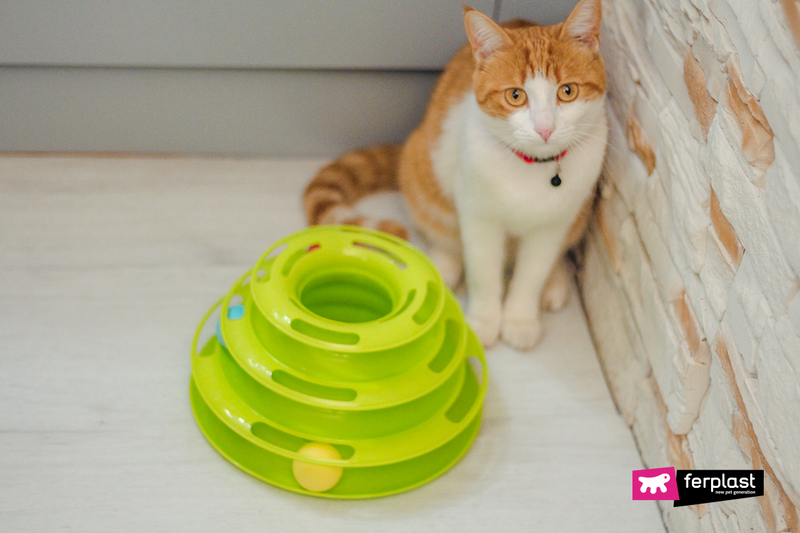 There is a wide variety to choose from for your cat, from games that stimulate their mind to the more classic fake mice or bits of fluff dangling from fishing rods! Some are designed for them to play with on their own, others for quality time together, but both make sure your cat has more fun! Explorer, Twister, Caurosel… a different game for every day to keep its attention focused and mind sharp. All you need is a bit of good taste to find a really great gift, and you don’t even have to spend all that much! 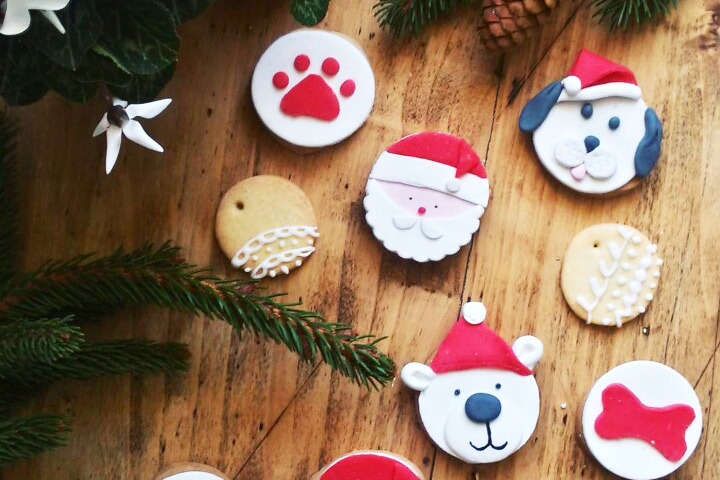 But hurry, Christmas is nearing and you don’t want Mimi to be left empty-pawed!